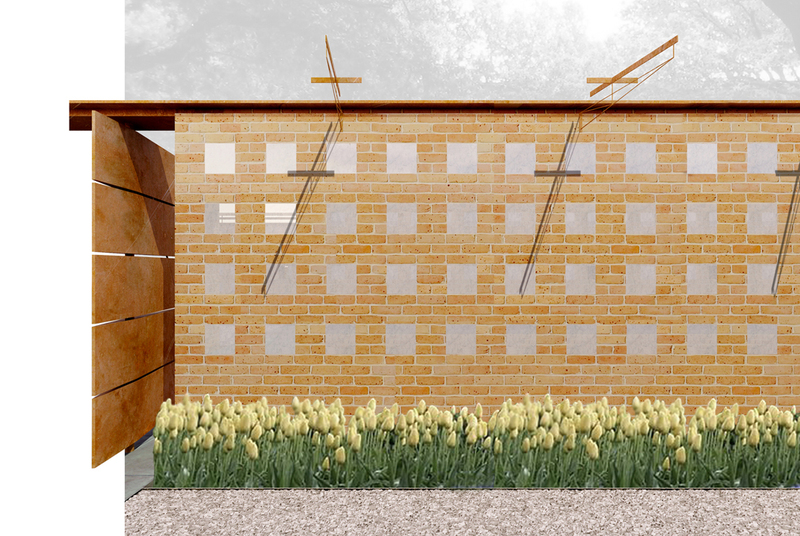 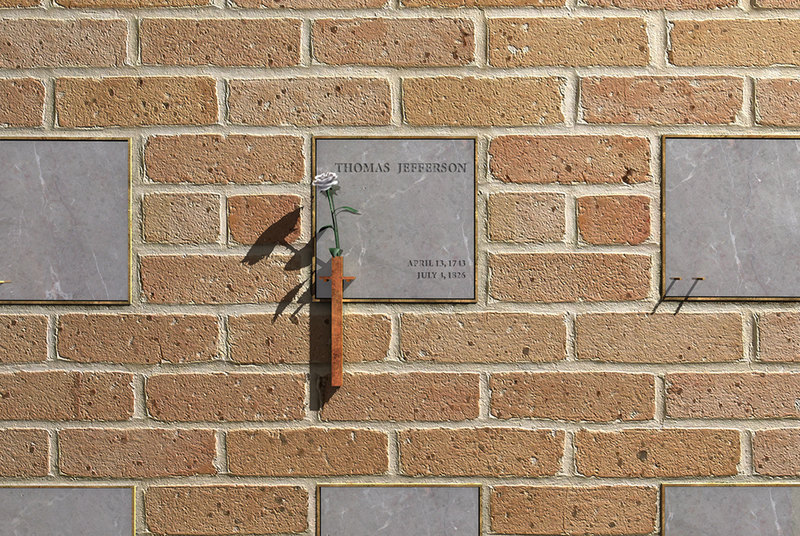 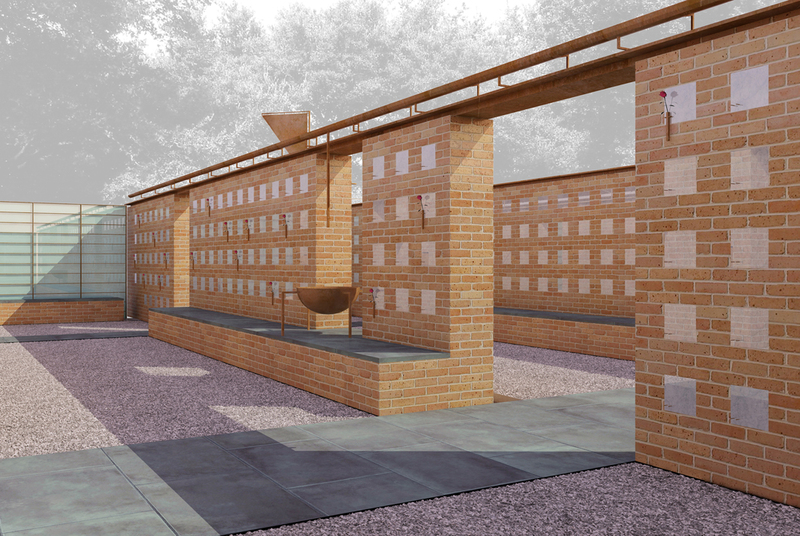 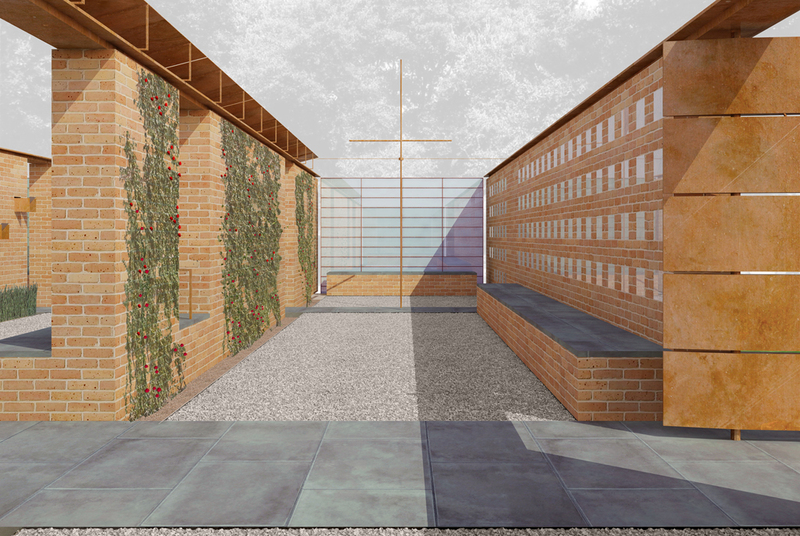 The assignment was an outdoor columbarium situated next to the nave of an existing Episcopal Church in Dallas, Texas. 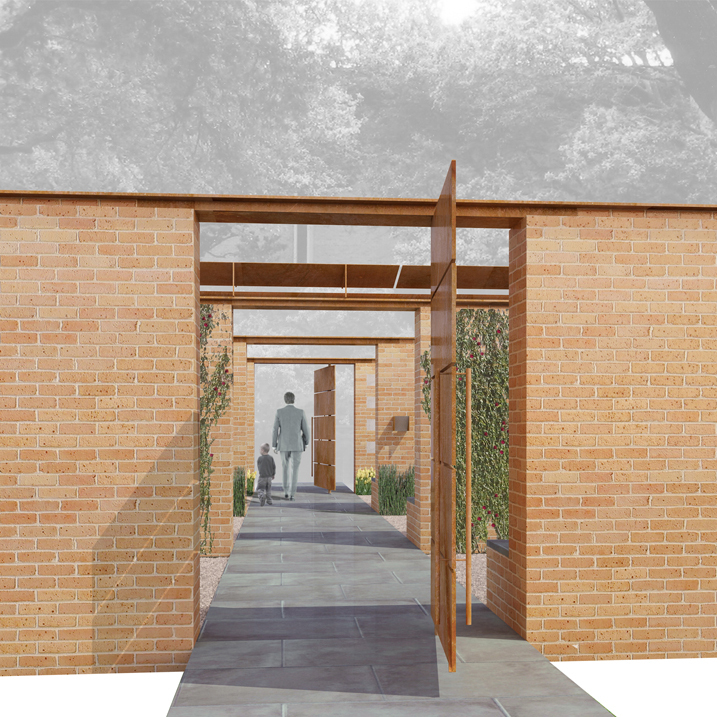 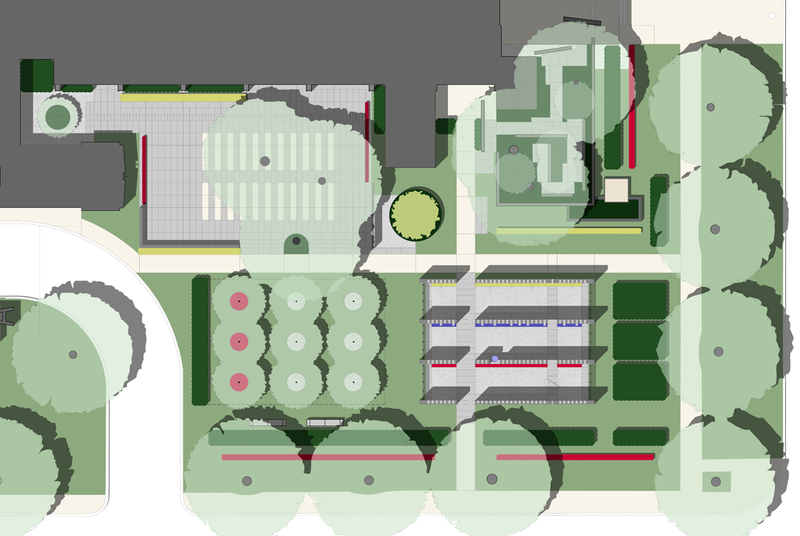 The landscape design establishes the threshold between the public street and garden of the columbarium. 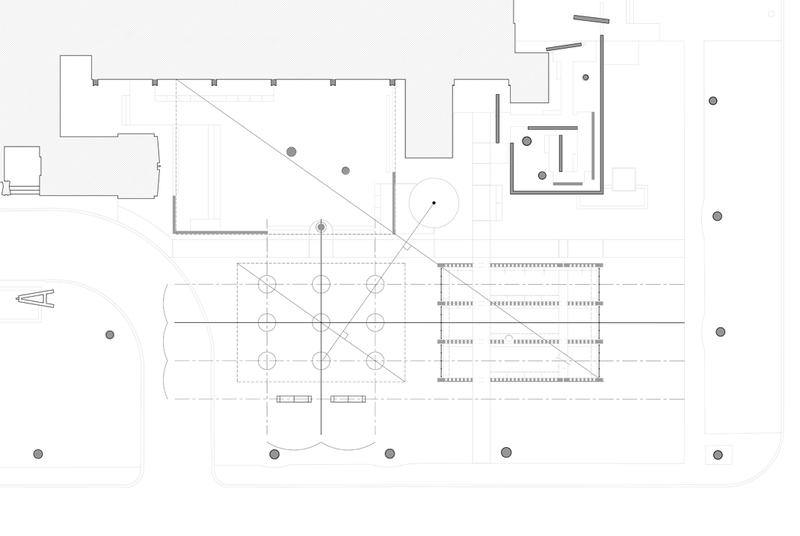 The interior landscape of evergreen vines, lilies, red roses and flowering grasses corresponds with the liturgical themes of the three parallel spaces. 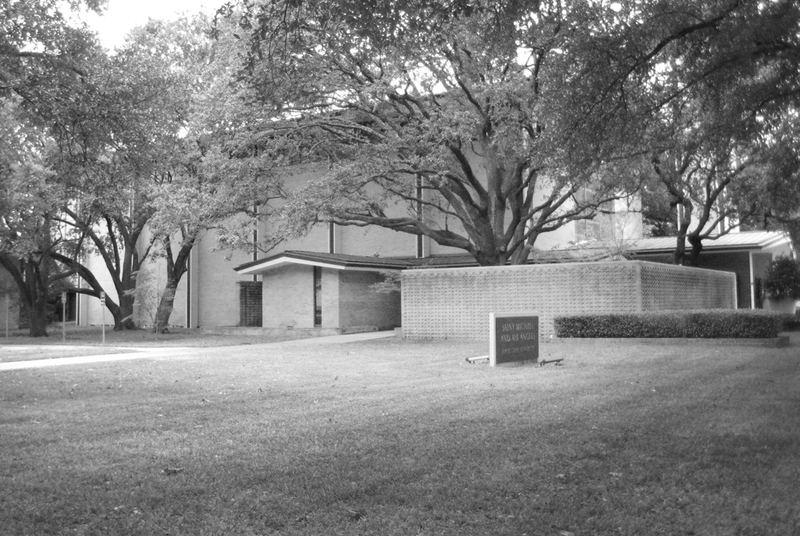 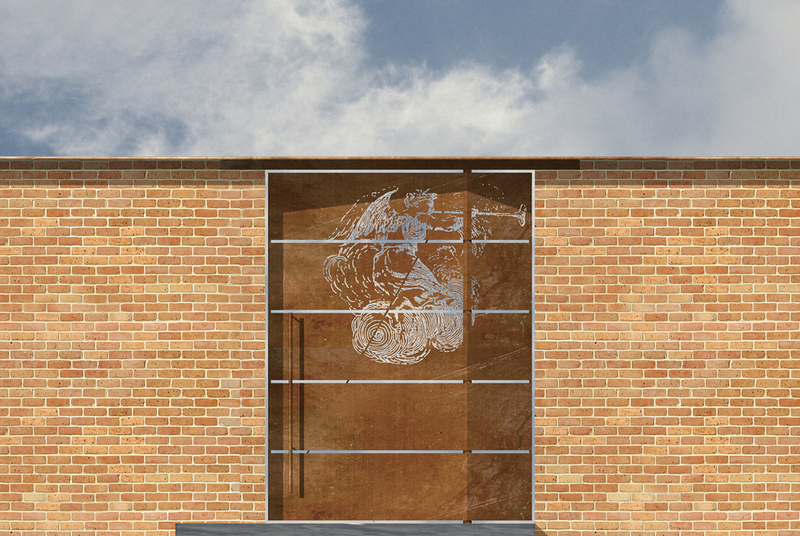 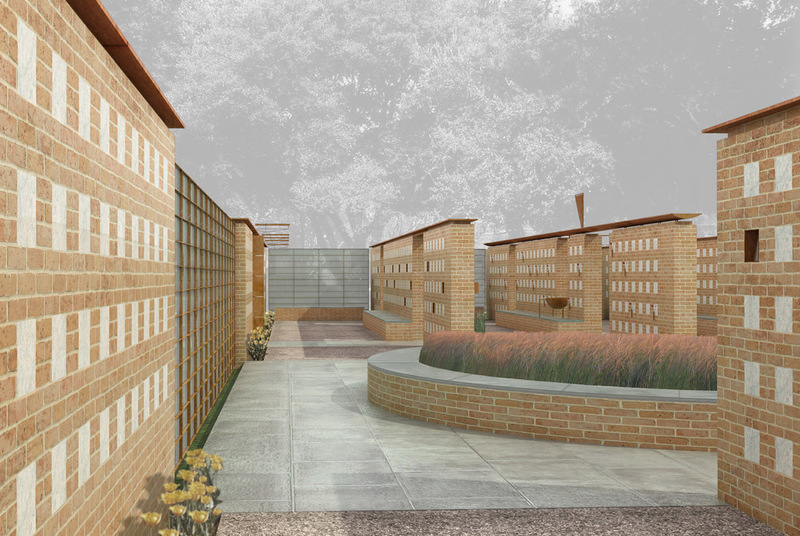 Max Levy Architect in Dallas, Texas designed the columbarium architecture.